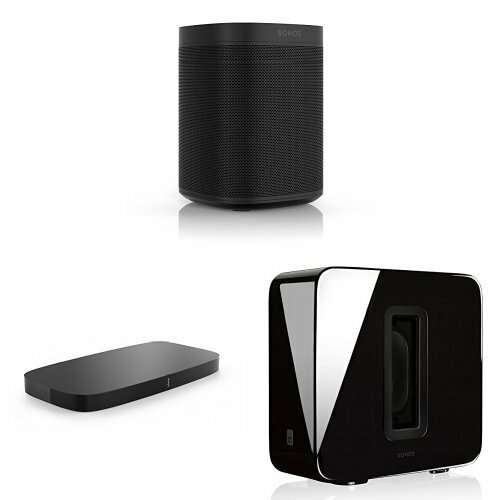 Sonos One – Voice Controlled Smart Speaker with Amazon Alexa Built In (Black), PLAYBASE for Home Theater and Wireless Subwoofer (Black) by Sonos at Zonita Cinema. Hurry! Limited time offer. Offer valid only while supplies last. View More In Wireless Multiroom Systems.